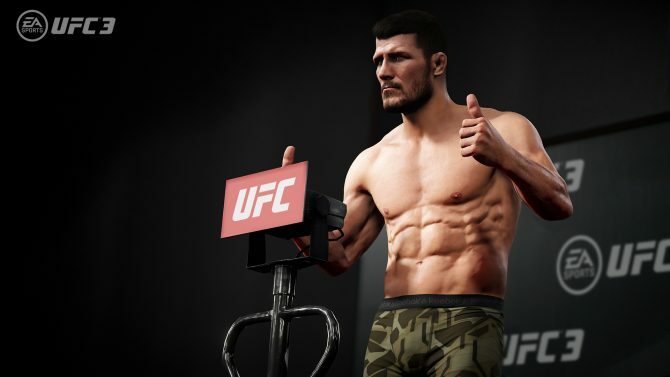 For the first time in the series, EA Sports UFC 3 lets you make promotional choices that impact your road to success. In less than a month, EA Sports UFC 3 will be on store shelves for everyone to pick up. To get you hyped, a trailer for the upcoming game’s Career Mode was released flaunting its gameplay. A first in the series, the choices you make in marketing yourself will impact your potential for success. Between matches, you can make promotional choices that will garner more fans, hype for your next fight, and better contracts. You can also get a cool championship belt and have Joe Rogan tweet about you so that’s kind of cool. 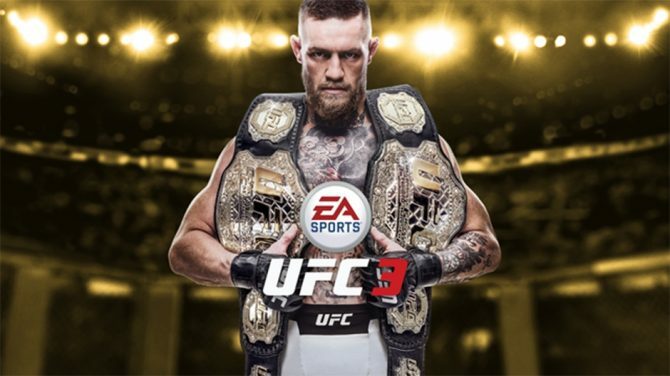 EA Sports UFC 3 was originally revealed in November alongside a trailer featuring Lightweight champion Conor McGregor, the game’s cover athlete. 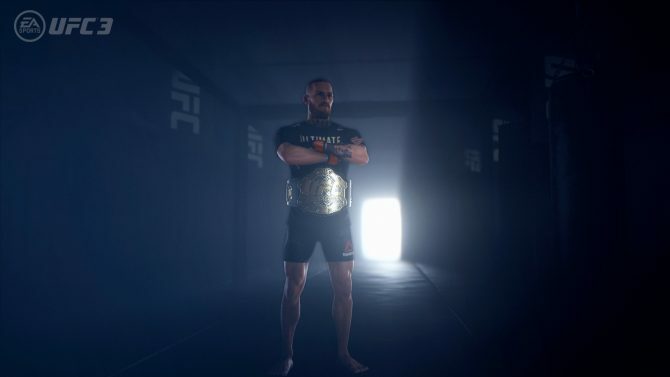 A Champions Edition was also unveiled giving players access to the game three days early, a UFC champion and move for UFC Ultimate Team, 500 UFC points, five instant Ultimate Team Premium Packs, and 20 additional Premium Packs (over 10 weeks). EA Sports UFC 3 will be available for Xbox One and PlayStation 4 on February 2, 2018. If you want to see what we thought of the game so far, you can check out our preview. 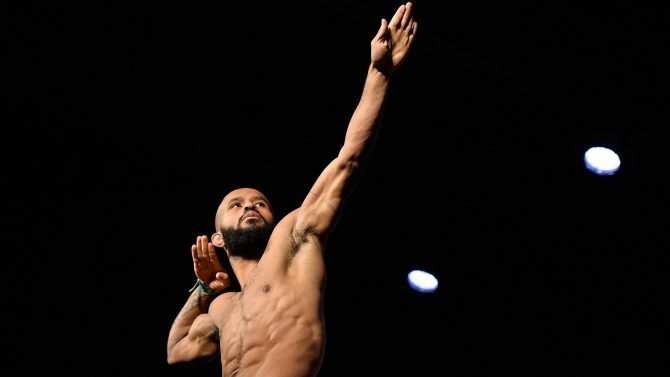 We also interviewed the EA Sports UFC 3‘s Senior Producer Marc De Vellis and Flyweight champion Demetrious Johnson about the upcoming title. To celebrate the UFC 223 event airing tonight, EA MMA-simulator UFC 3 is free-to-play this weekend for Xbox Live Gold and PS4 Plus members.